Another week, another beer! Great to see MLCC on the ball with new beers nearly every week lately. I wish there were more beers from Alberta and Quebec coming, but beggars can't be choosers. Brauerei Gebr (Germany) is coming out with Maisel's Weisse Dunkel and Weisse Original. Both cost $3.55 for 500mL. MolsonCoors is coming out with Miller Chill Lemon again. $1.88 for a 355mL bottle. Yucky stuff. 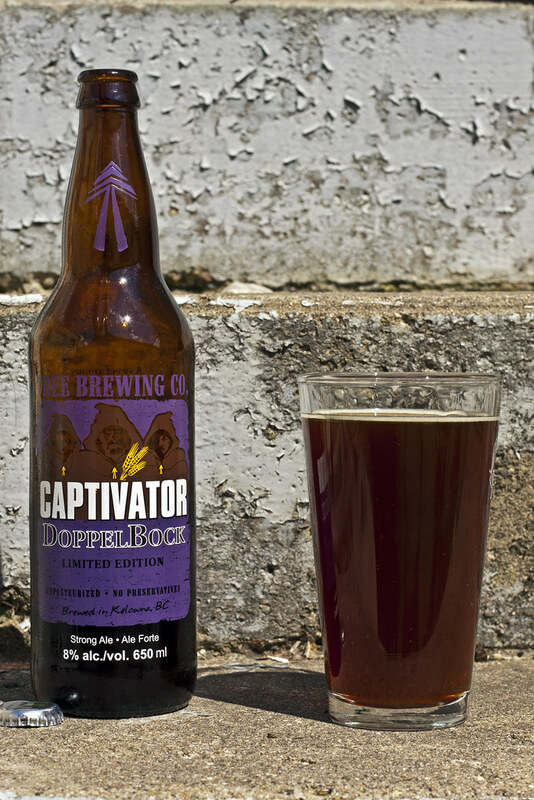 Tree Brewing's returning with Captivator Doppeldock after a year and half of being off the market in Manitoba. It will cost $5.57 for a 650mL bottle. You will love this! Tree is also bringing out their Hop Head IPA. It will sell for $2.20 for a 330mL bottle. Incredibly reasonably priced for a very stellar IPA. Lastly, Russell is bringing out their Russell Collection. No clue what will be included in the collection but I am assuming it will be their Pale Ale, Cream Ale, Extra Special Lager and Honey Blonde Ale. It will cost $20.31. Freaky. I was just at Tree Brewing this past Friday and had no idea they distributed out this far! I liked their stuff so I brought back a bottle of their Hefeweizen and some cans of Thirsty Beaver. I'll definitely be picking up a bottle of their Doppeldock! They have a lot of beers available in Manitoba. Their Character taster pack is in MB as well but really not worth the price - $38 for 12 pack. The Thirsty Beaver is damned tasty! You'll be happy with their Hop Head! If you're up for paying $38 for a 12 pack, go for it! If not, just stock up on the beers already available at the LC!